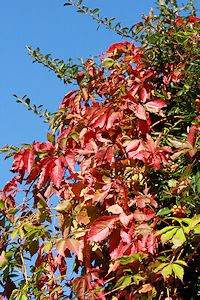 Virginia Creeper is an excellent climbing shrub for covering walls. It will attach itself without the need for additional support. 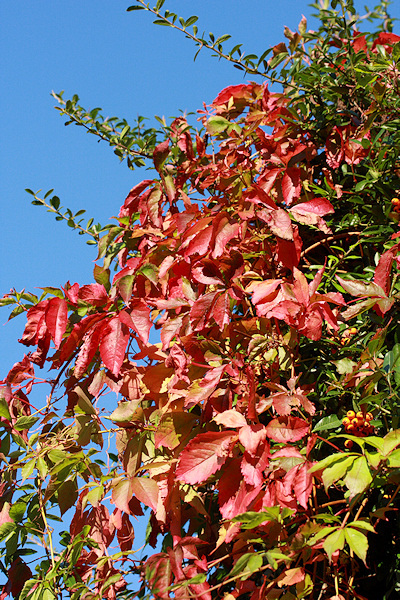 Although the flowers and fruit are fairly insignificant, it is best known for its glorious colour in autumn when the leaves turn a beautiful scarlet. 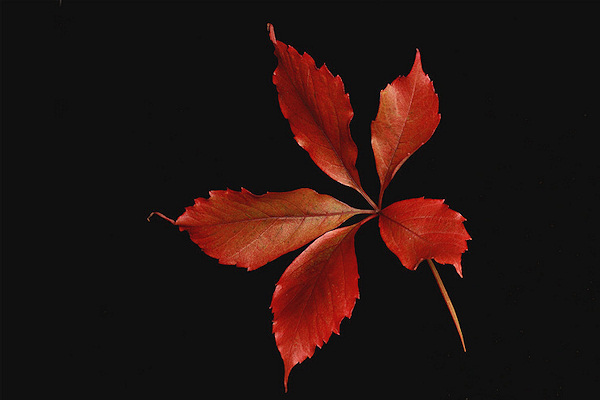 The leaves are composed of five serrated leaflets, each up to 10 cms in length. This shrub originated in North America.